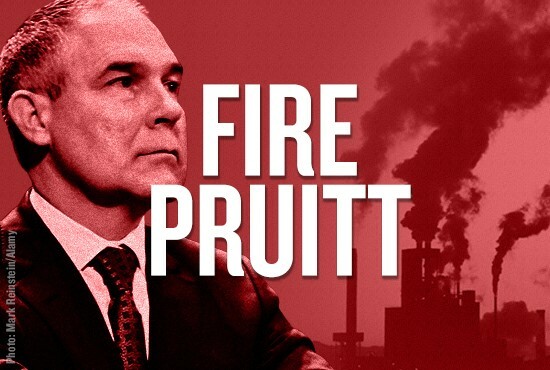 USA: Pruitt In The Hot Seat. EPA Administrator Scott Pruitt will be back in the hot seat tomorrow morning, testifying LIVE at another critical subcommittee hearing — this time before the Senate. 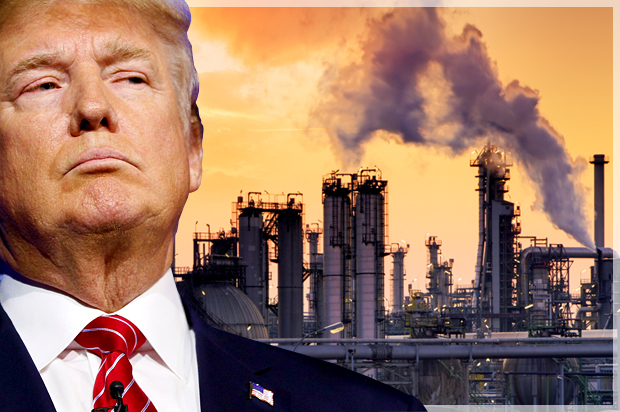 He’ll face questions from members of the Senate Appropriations Subcommittee on Interior, Environment, and Related Agencies — both Democrats and Republicans — about his anti-environment agenda, his efforts to slash the agency’s budget, and his excessive spending as head of the EPA. We need to make sure that senators hold Pruitt accountable for shamelessly misusing taxpayer dollars and sabotaging the agency he runs, all to benefit himself and his fossil fuel industry allies. 1) Call your senators between now and tomorrow morning and urge them to pressure their colleagues on the subcommittee to ask tough questions of Pruitt. 2) Watch Scott Pruitt testify at the hearing live tomorrow at 9:30 a.m. ET. You can stream it directly from the All In website. 3) Use social media today and tomorrow to help keep up the pressure on Congress to hold Pruitt accountable. Follow our simple instructions to tweet your questions to Subcommittee Chair Senator Lisa Murkowski (R-AK) and Ranking Member Tom Udall (D-NM), or reach them through Facebook. Last month, Pruitt testified at two subcommittee hearings before the U.S. House of Representatives. He faced criticism from lawmakers on both subcommittees, including several Democrats who called for him to resign. Now we need the Senate to keep holding Pruitt’s feet to the fire. Over the last few critical weeks, thousands of ALL IN activists like you have called your senators and representative to demand that they call for Pruitt to be shown the door. Thank you. Now, we need you to take the next step to help keep the pressure on. Watch the hearing tomorrow and make sure that our congressional representatives demand answers to YOUR important questions for Pruitt. And if Congress holds back? Well, we’ve got to let them hear it. Use our simple instructions to send a clear message to Congress on social media: Enough is enough. Pruitt needs to go.